Driving under the influence of alcohol or drugs is a serious matter for any driver. For commercial drivers, such charges are particularly harmful. Not only are you facing criminal penalties, fines and the loss of your driving privileges, but you are also facing the loss of your livelihood. At the law offices of John W. Callahan, Ltd., our skilled criminal defense attorneys fight to protect the rights of commercial drivers in drunk driving cases. If you are a semitruck driver or other commercial vehicle operator and you have been charged with DUI, contact us online or call 1-877-335-6697 right away. For most people operating vehicles on Illinois roads, the legal limit for blood alcohol content is .08. For commercial driver's license (CDL) holders, the limit is .04. For school bus drivers, the limit is .00. If you are convicted of driving over that limit, you could see your CDL suspended or revoked. You could face increased insurance rates if you are an independent trucker. You could lose your job if you work for a trucking company. You could find it difficult to ever find employment as a truck driver again. That is all in addition to the potential jail time and heavy fines associated with any DUI conviction. Commercial drivers are required to report DUI convictions to their employers. Avoiding such a conviction is of the utmost importance to commercial drivers. 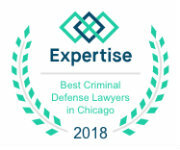 Our accomplished DUI defense attorneys have won cases in which other lawyers had recommended the client accept a guilty plea. 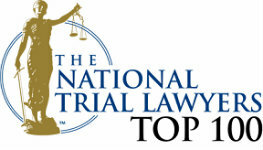 We have extensive knowledge and experience in Illinois DUI cases. We know what is at stake for you. We are dedicated to protecting your rights and your future. Keep Your CDL. Avoid a Conviction. The best way to save your CDL is to avoid a conviction. That is why we look at every fact and legal issue that could affect your case. We consider the reason for the stop, the field sobriety tests used and the Breathalyzer, among an entire list of other factors. This complete approach has helped us establish a strong track record of success for our clients. Breathalyzer tests are not always accurate — especially when the amounts are so precise. That is why we examine the chemical test results closely and have the tests thrown out if they are not correct. At the law office of John W. Callahan, Ltd., we look to see if the Breathalyzer was calibrated properly by making sure the settings for the computer system in the machine are correct. Our criminal defense attorneys also look at when the test was administered. The level of alcohol in your blood peaks hours after you stop drinking, so waiting too long after a drink can actually cause your BAC to rise more than it otherwise would. Your Ability To Make a Living Is on the Line. Call For Strong CDL DUI Defense. Simply put: Commercial drivers have more at stake than other drivers on the road. If they lose their driver's licenses, they cannot do their jobs. And that's a risk that most drivers can't afford to take. If you are a commercial driver who has been arrested for DUI, hiring an experienced lawyer is the best way to protect your freedom and your CDL. At the law offices of John W. Callahan, Ltd., we use years of experience to represent drivers with commercial driver's licenses (CDLs) throughout Cook and DuPage counties. Call our firm at 1-877-335-6697.